inzva is the sanctuary of the Turkish hacker community. We organise Algorithm Camps, AI study groups and informative talks to cultivate students who study computer engineering and software in Turkey. We offer a quiet, peaceful and inspiring environment to work, stay and socialise. 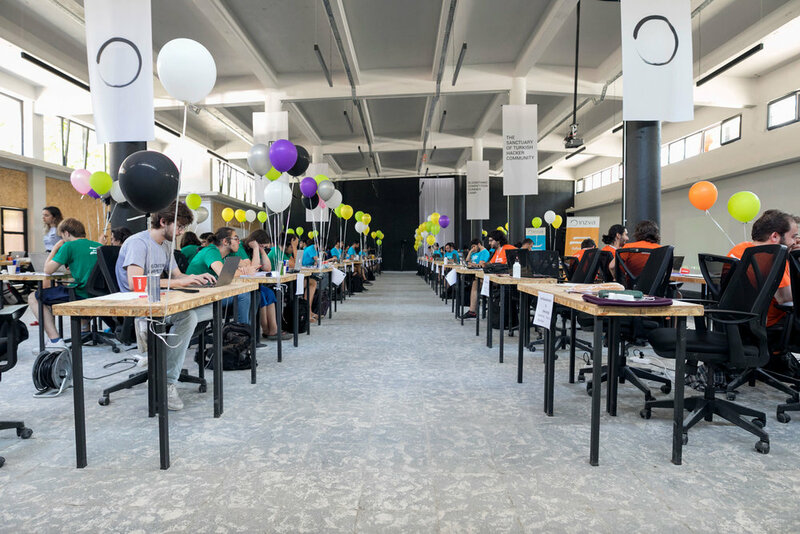 Our space is designed for competitions and meetups, located in a historical factory building with amazing views of the Bosphorus. As an independent non-profit entity supported by BEV.foundation, we provide a neutral umbrella for all Turkish hackers. Now, we’re looking for a full-time team member for the Algorithm Programme Coach position. The purpose of this role is to help computer science and software engineering students with improving their algorithmic thinking skills, as well as academic/professional issues they may need to tackle in real-life such as problem-solving, being a team member, efficient time management. The Coach is responsible for leading the qualified students, who will represent Turkey in the international competitions (ICPC SEERC and World Finals) and contributing to their success. This position is a full time salaried position with benefits based in our headquarters at the historical factory Beykoz Kundura. Coach and lead the class consisting of 20 talented, advanced-level students, who will be representing Turkey in international algorithm competitions. Lead our algorithm competition programme in terms of creating content and curriculum. Guide university ICPC teams in building tactics and team strategy. Collaborate with algorithm team to plan, develop and execute annual algorithm competition camps held in inzva such as Pre-SEERC, Algorithm Competition Winter&Summer Camps. Overview event, programme and camp reports. Attend university meetings to reach out other talented students and promote inzva and its activities. Have already participated in ICPC. Have experience in coaching teams. Can build a strategy by determining team members’ strong and weak suits. Can review the information-experience balance in the teams and act accordingly. Can track students individually and prepare customized programs. Can help students with advanced algorithm problems. Have enough academic skills to teach students advanced level algorithms and concepts. Can provide students with the means to implement algorithms and data structures. Can review the training and progress of the teams. Being a part of a non-profit hackerspace community in Turkey. Engagement with top talented computer science students in Turkey. Full-time salary including accommodation, food and transportation. Working in a historical factory, Beykoz Kundura. Access to inzva’s invite-only activities. This job description only serves as a guide for the position available. inzva reserves the right to change this document. If you would like to apply for the position explained above, please fill out the application form. All applicants must send a cover letter and an updated CV (no longer than four pages) to contact@inzva.com. Both must be in English. Thank you for sending your resume in response to the position and sincerely appreciate your interest in our community. We will review all applicants and carefully consider your application during the initial reviewing and will contact you if you are selected to continue in the recruitment process.